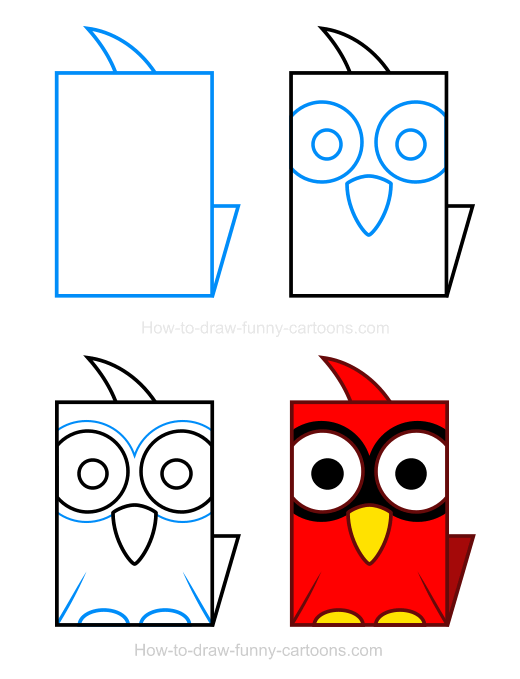 Using a simple cardinal clipart as a reference, I will show you how to create a wonderful cartoon bird made from simple shapes and colors. This great animal is easily recognizable with its red feathers and large black patches around both eyes. They are mostly found in North America and are mostly eating seeds. Below you can see the final version of this cartoon cardinal once all elements are created. As you can see, this is a simple design to duplicate and even beginners should not have trouble completing this drawing lessons within a few minutes. 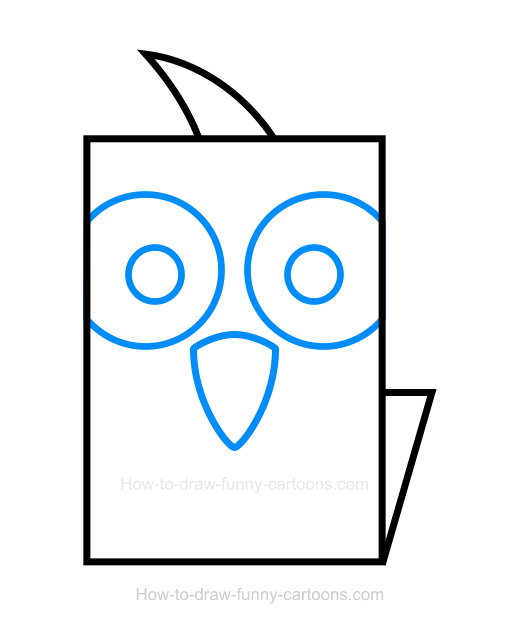 You can use a pencil and a piece of paper to draw this bird or use a vector application just like I did. Ready? Let's draw! Let's start this tutorial by creating the head and body of this animal using a large rectangle made with a thick outline. On top of the head of this cardinal, draw a single hair made from a long triangle. This one can be done using curved lines. 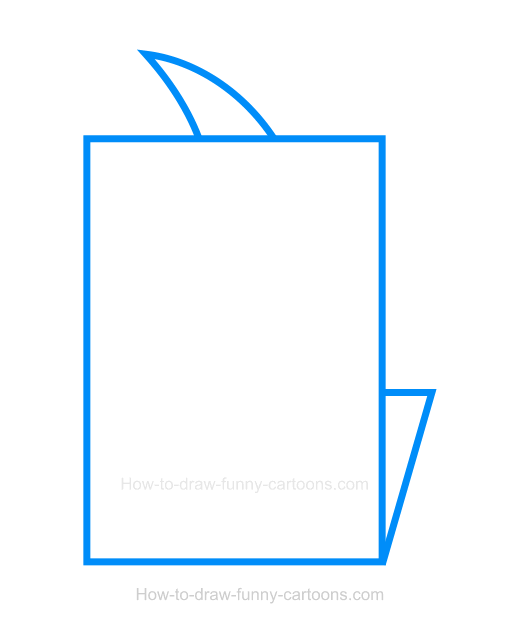 Then, you can draw the tail using a simple rectangle. 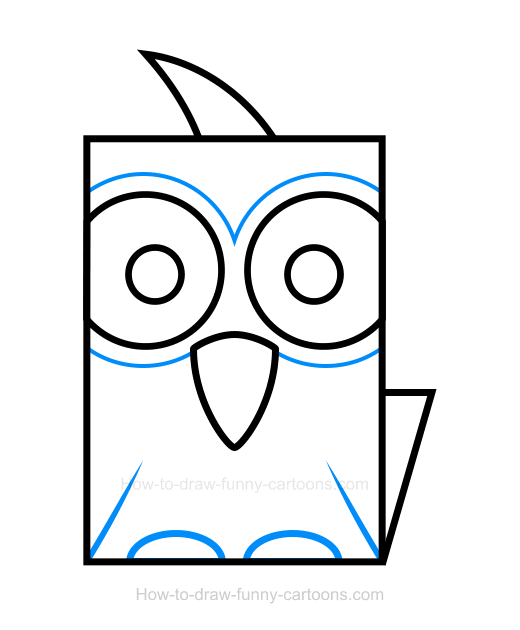 Next, draw a long beak using another triangle made from curved lines. Then, you can create the eyes using large circular shapes. Smaller circles are used to illustrate the pupils. Also, notice how the eyes are partially hidden on both sides of the head. Nice job! We are almost done! Using long curved lines, sketch the patches around the eyes of this cartoon cardinal. Continue working on this animal by drawing two pointed lines to form the wings. Finally, you can draw both legs using curved lines on the bottom of the body. It's now time to add plain colors! First, add a bright red color inside the body and the single hair. On the tail, you can use a darker version of this color to create a little bit of depth. The patches around the eyes are black, just like the pupils. Finally, the beak and the legs are colored in yellow. 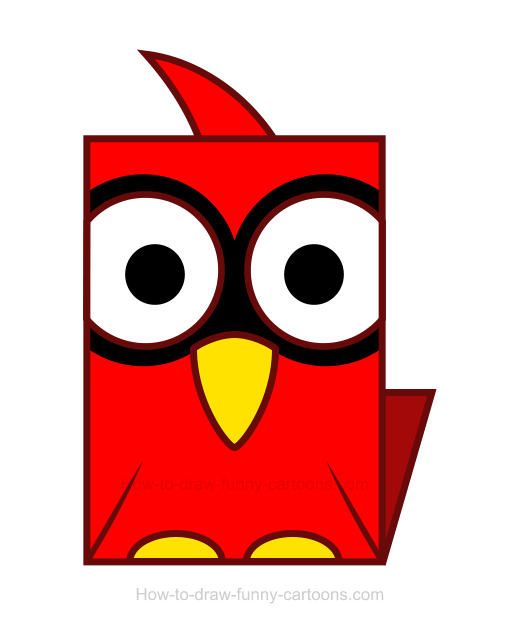 Nice work creating a simple cardinal clipart!